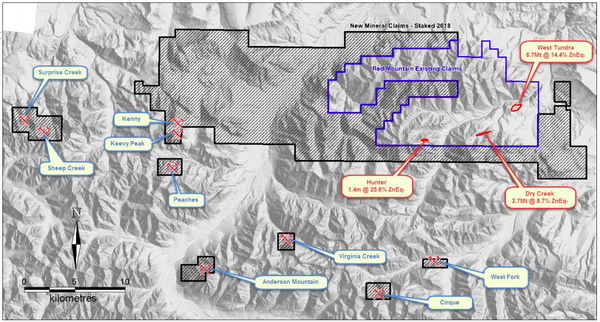 White Rock Minerals (ASX:WRM) has identified a number of high-priority geochemical anomalies within its recently expanded high-grade Red Mountain zinc-silver-lead-gold-copper volcanogenic massive sulphide (VMS) project in Alaska. During the 2018 field season, WRM completed a detailed regional stream sediment program over prospective stratigraphy within the Red Mountain project area. This part of the comprehensive 2018 exploration program was optimised based on the geochem orientation survey completed across known mineralisation at Dry Creek. The survey provided a geochemical signature of base metal and precious metal elements, together with other pathfinders to use for future exploration of the VMS prospective stratigraphy on both the northern and southern limbs of the regional Bonnifield syncline. WRM’s 2018 reconnaissance program has identified a number of extensive alteration features for future exploration. Some of these extend on surface for several kilometres of strike. The results from the detailed regional stream sampling program have successfully highlighted eight priority anomalies within the area of alteration, providing areas for immediate focus through follow-up ground reconnaissance, surface sampling and the application of electrical geophysics prior to drill targeting. 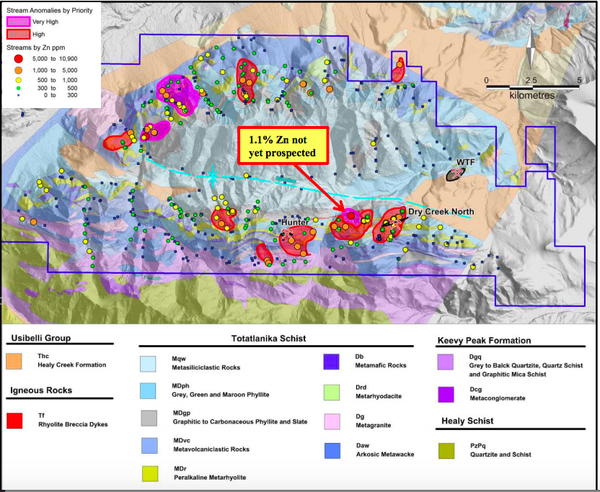 The significance of some of the geochemical anomalies is illustrated by the tenor of anomalism with one stream sample returning 1.1% zinc in an area towards the top of the VMS prospective stratigraphy to the west of the Dry Creek deposit. No previous exploration has prospected the immediate catchment area, indicating how prospective the immediate surrounds remain. In addition, the area of the northern limb known as Glacier Creek displays footwall sulphide alteration that extends for over 10km of strike. The stream sediment survey has identified four discrete high-priority targets within the area of alteration. Follow-up work will now be able to focus on these discrete areas of anomalism to enable rapid advancement to drill testing next year. CEO, Matt Gill, commented on today’s news: “We recently expanded our tenement footprint three-fold, to now hold a strategic land package of some 475km. This expansion follows a successful first year of field activities for White Rock, where drilling intersected multiple high-grade intervals of zinc-silver-lead-gold-copper mineralisation at Dry Creek and West Tundra. “With some drill hole results returning in excess of 17% zinc, 6% lead, 1,000 g/t silver, 6 g/t gold and 1.5% copper, the 2018 field season also saw three reconnaissance crews out in the field mapping and sampling. “The culmination of this work encouraged White Rock to expand its strategic tenement holding to take in more of what has been identified as a highly prospective geological setting. “In addition to this successful drilling campaign, including a new discovery of high-grade zinc-rich VMS mineralisation at the Hunter prospect, we now have the results from our regional stream sediment sampling campaign. “These results reinforce our belief that the Red Mountain project could yield a camp of VMS deposits in the year ahead. Together with the expansion of the tenement package to 475km2 and coverage of multiple new VMS occurrences throughout the Bonnifield district, White Rock is now poised to advance the project rapidly in 2019 through a second year of aggressive prospecting and drilling,” Gill said. Last month, WRM more than tripled the scope of its Red Mountain Project, staking an additional 524 new mining claims and mineral locations. 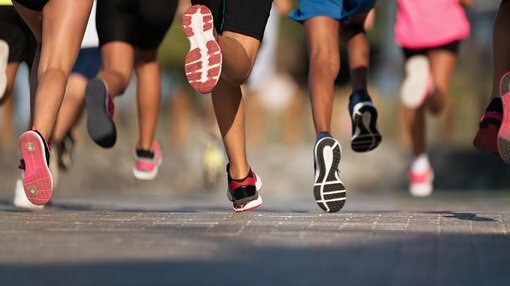 As well as giving WRM a dominant landholding, this provides the small cap with a first mover advantage in an underexplored area which has already delivered positive exploration results. WRM's strategic JV partner, $1.08 billion-capped Sandfire Resources NL (ASX:SFR), supports these acquisitions. Location of high priority stream sediment geochemical anomalies on the DGGS geology map and terrain surface with locations for the Dry Creek and West Tundra Flats VMS deposits, and the recent Hunter VMS discovery.